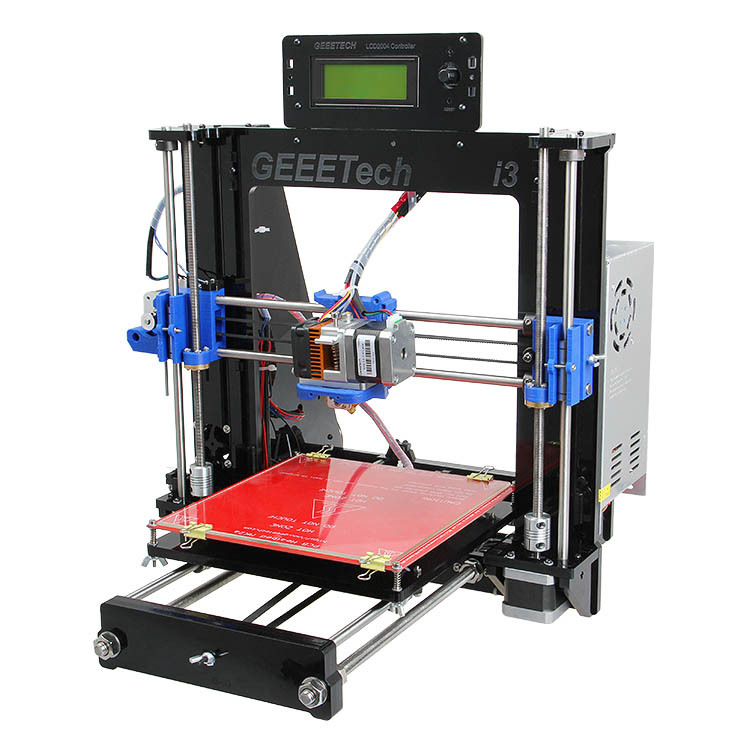 Geeetech I3 pro is based on the Reprap open source project. 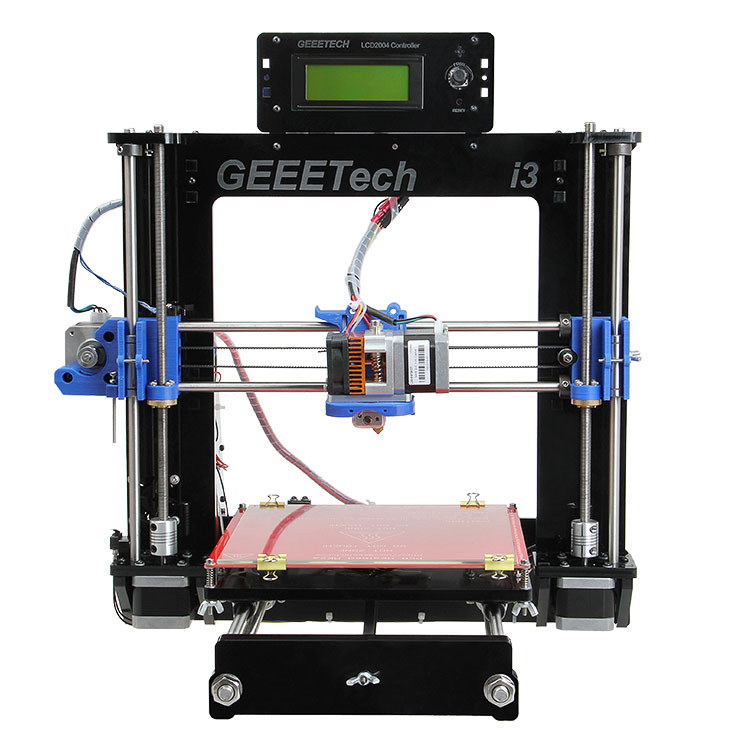 Geeetech I3 is highly recommended for students and beginners who want to start journey in 3d printing technology. Assembling a 3d printer is fun and great learning experience. 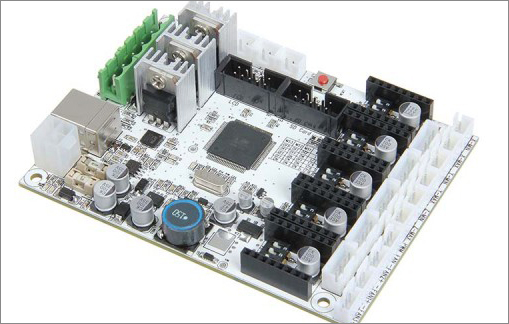 Geeetech I3 pro features sturdy structure, simple assembly, easy debugging and more stable performance. 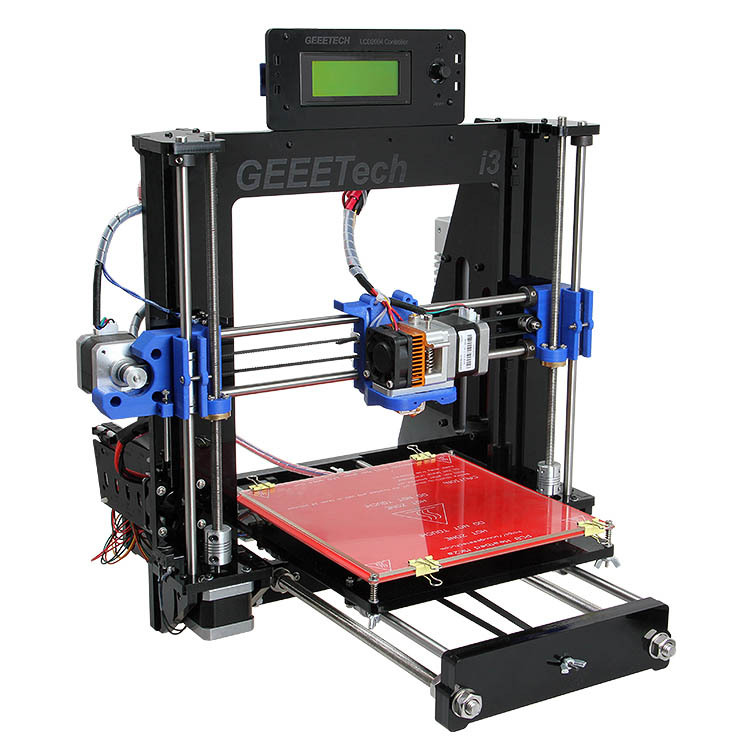 All in all, we designed the Acrylic Geeetech I3 pro to provide you the best 3D printer kit at the best price with the easiest setup. 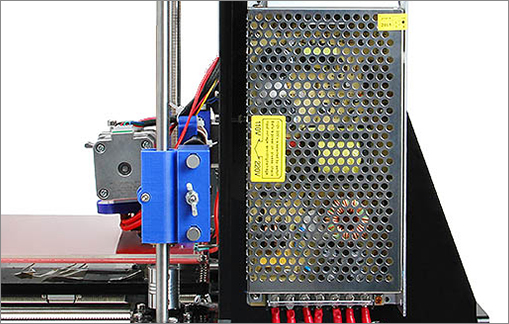 Further simplified structure means fast assembly and easy adjustment, which saves you both time and energy as well as speeds up the molding of your innovative products and ideas. It usually takes up to 3 days for a DIYer to assemble the previous I3, not to mention the post-adjustment and debugging work. As to this I3 of Acrylic Frame, however, you can save 70% of time. 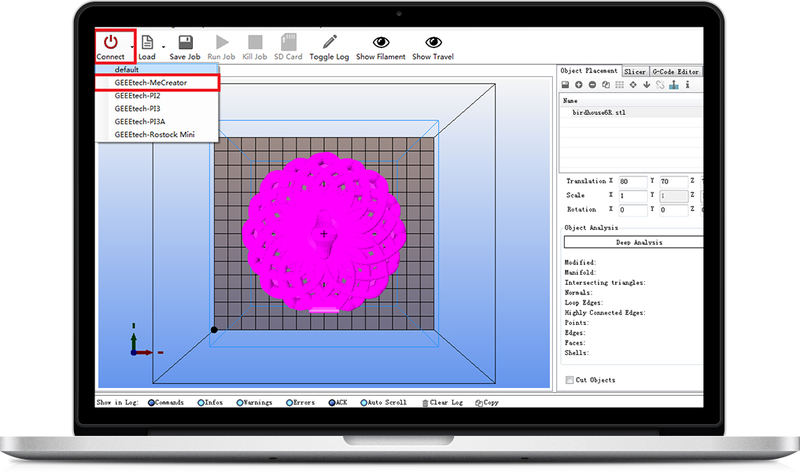 Make high-resolution printing objects. High wear resistant industrial grade linear bearings for XYZ axis, industrial grade linear guide rail structure. 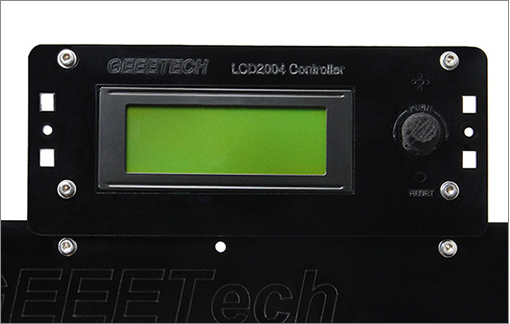 LCD 2004 panel & SD card reader support, easy implementation of off-line printing. 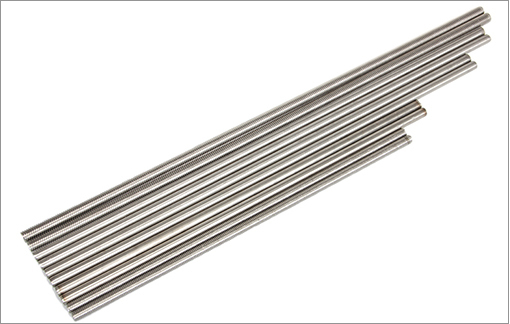 The condition and tension of transmission belt has a non-negligible influence on the printing precision and transmission efficiency. 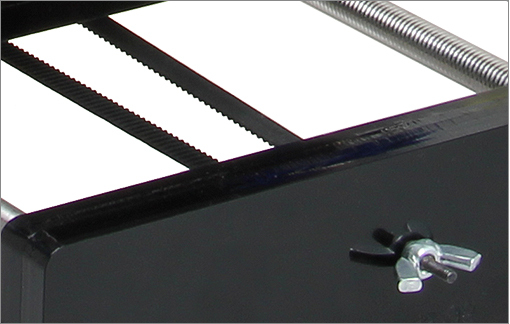 It cannot be too loose or too tight, but with this adjustable design, you can easily loosen or tighten the belt during printing. PSU mounted on the printer, more safe and space-saving. 3. popular with engineers, inventors, designers and hobbyists. 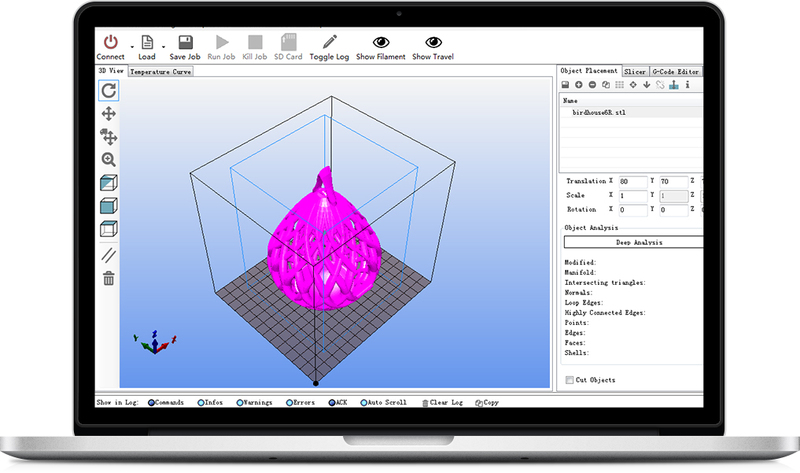 Print a single two-color object. 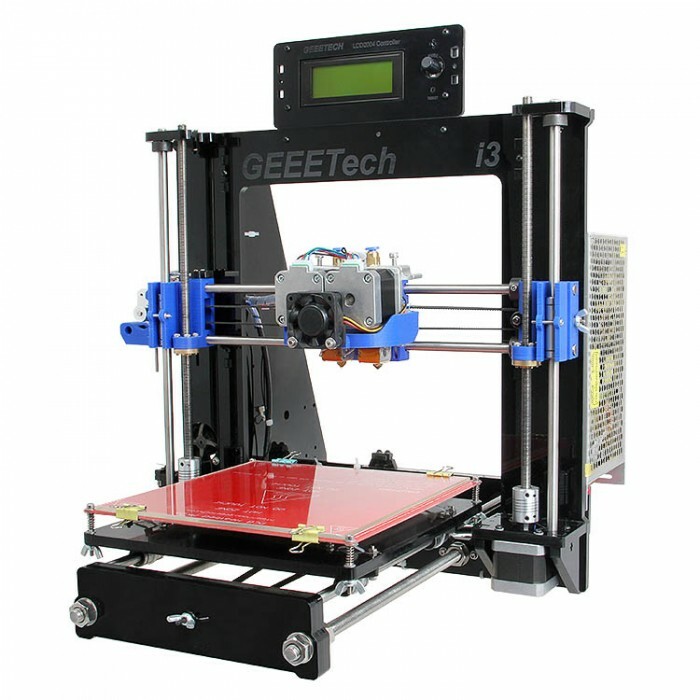 Rely on software that is customized for Me Creator and the other 3 printer made by Geeetech. Connect the Me Creator to Your computer, finish the basic Configuration. 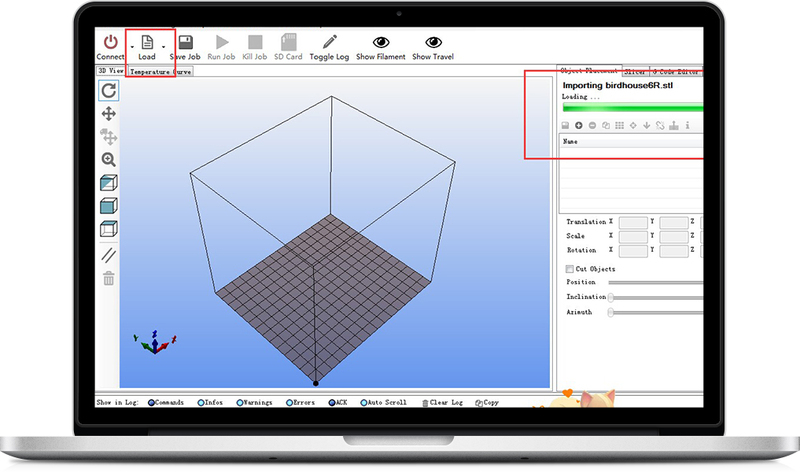 Drag and drop models right into the virtual build space. 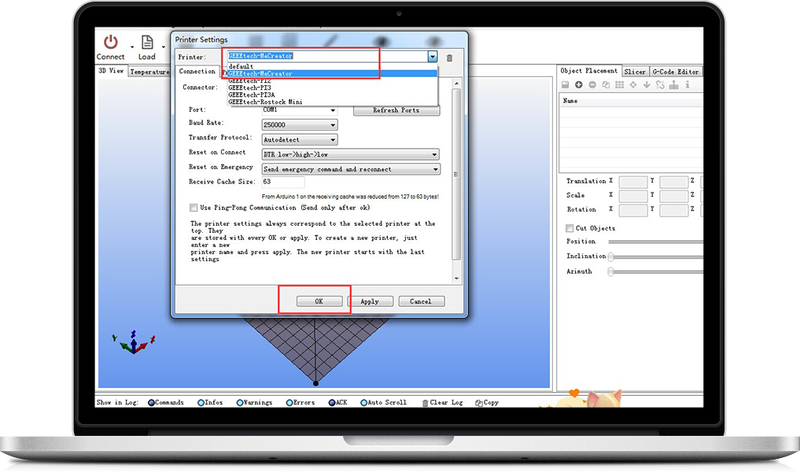 Scale, move or rotate individual models or groups of models at once. Test color possibilities, view individual layers and get estimates of time and materials. The rest is to wait for the presentation of your first work! Print what you use. Print what you wear. Print for your home. Print for your life. Print what you love. Love what you print. moving beyond novelty to industry." will change the global economy." on those who perform routine tasks." 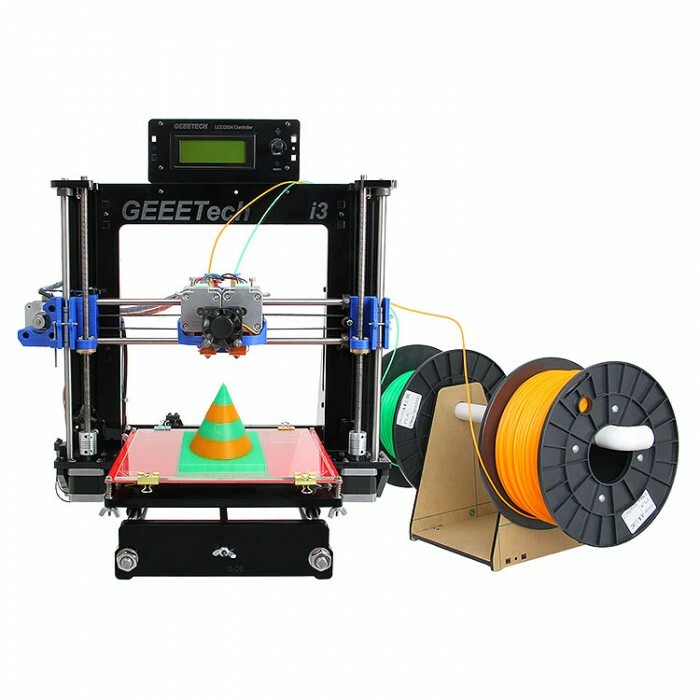 * Good parents know how to spend quality parent-and- children time by involving their children in activities that are both educational and fun, that’ s why 3D printers are becoming the new favorite of modern families. * Clever teaching teachers know how to light up his class by introducing 3D printer into classroom to encourage them to make their aids, science projects, crafts and much more, giving them openness to think originally and express their ideas in 3D printing. * Smart shop / restaurant owners knows how to impress their customers by giving away meaningful collections and souvenir for them made by 3D printer and attract more to come. 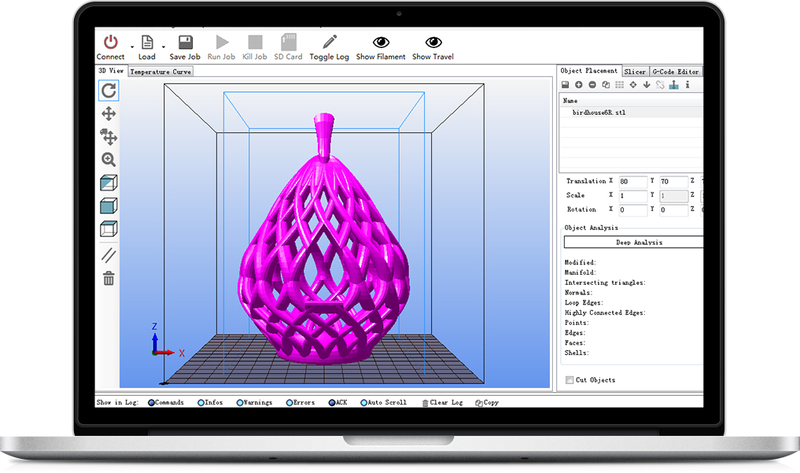 * innovative companies will start off new business models built on 3D printing, flourishing as a generation of innovators, hackers and “makers” take advantage of the capabilities of 3D printing to create new products or deliver services to the burgeoning 3D printer market. 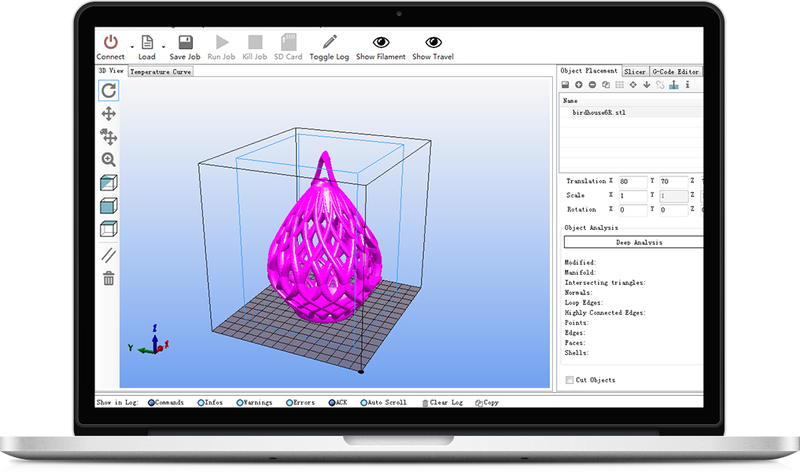 Come on and join the revolution of 3D printing. * Creative designers of architecture can take advantage of this burgeoning 3D printing technology to produce more amazing and unthinkable works. Geeetech guarantees all products to be free from defects in material or workmanship under normal use and service for a period of one year from the date of delivery. If any defect occurs within this scope of the warranty, please notify us immediately, we will send the replacements or refund the payment and afford the cost. Warranty will be invalid if the products were not using or operating in a proper way. In this case, Geeetech will not take the responsibility. *Available only at the time of purchase or within 60 days of purchase date. Thanks for choosing Geeetech, we strive to provide a satisfied and pleasant shopping experience for you, but we do understand there may be some questions you may encounter in using our product. If so, you can contact us directly or post on our forum, our technique staff will help you resolve it. © 2014 GETECH, All Rights Reserved.